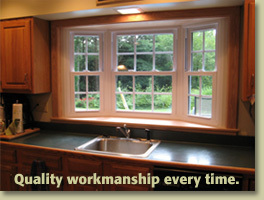 Vermont Carpentry Designs is a family-run woodworking shop specializing in custom-built projects. Based in Brattleboro, Vermont Carpentry Designs can create built-in or freestanding storage cabinets, shelving and furniture to fit your space. At Vermont Carpentry Designs, we work with local woods to construct attractive, durable products that will serve you for years to come. We specialize in kitchen and bathroom cabinets, storage units, book shelves, mantels, mobile kitchen utility carts, and household furnishings. Call us at (802) 380-6419 for more information. Our products are built to order. We’ll work with you to create the right solution for your storage needs, space and other requirements. Just let us know what you’re looking for. Click here to learn more about our process. Contact us today for a project estimate. Whether you’re here in Vermont or in a city far away, we look forward to working with you.